As fall approaches and the cool breezes start to blow, it’s time to prepare your home for winter. Preparing your home for winter will help you to save energy, lower your utility bills, and keep your home cozy on cold days. Seal up your home. There may be places where cold air can seep into your home, often around windows and doors. Seal up any cracks around window frames and door frames and check the weather stripping around your exterior doors to make sure there are no gaps. Change your filters. You should change your filters often during the heating season to keep dust and allergens from circulating through your furnace, ductwork, and around your home. If it’s been more than a month since you’ve last replaced your filters, fall is a good time to do so. Check your ducts. Leaky ducts can allow warm air to seep out and cold air to seep in. Seal up any obvious leaks or hire a professional to inspect your ducts for any weak spots. Ductwork should also be properly insulated. Schedule furnace maintenance. 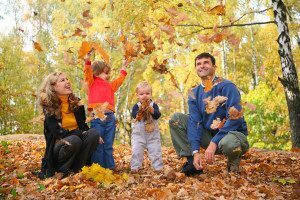 Fall is the best time to schedule furnace repair in Eden. Yearly maintenance and repair will keep your furnace running smoothly and efficiently throughout the cold winter months. Replace your furnace, if necessary. If your furnace is getting old or has been requiring frequent repairs, it may be time to replace it. Fall is the best time to replace your furnace if you are worried it won’t last through another winter. Avoid a chilly situation by having the replacement done before the cold weather sets in. When it comes to getting your home ready for winter, your goal should be to keep your home warm and cozy as energy-efficiently and as cost-effectively as possible. Furnace maintenance is the best way to keep your furnace running efficiently and avoid problems. To schedule furnace repair, call Berico at (336)623-9741.